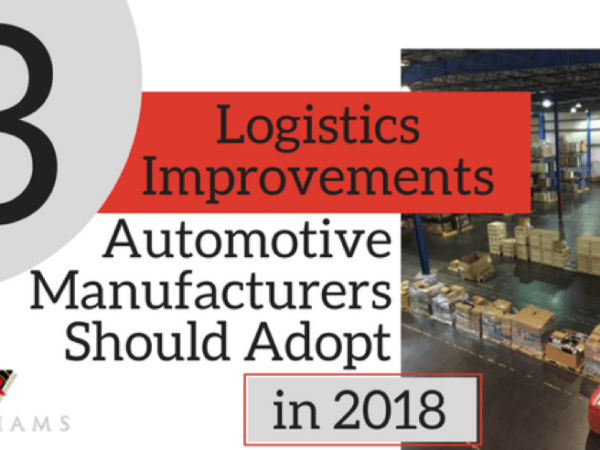 Few companies can afford to invest their assets to manage the entire logistical process of moving their products from their facility to each end user. 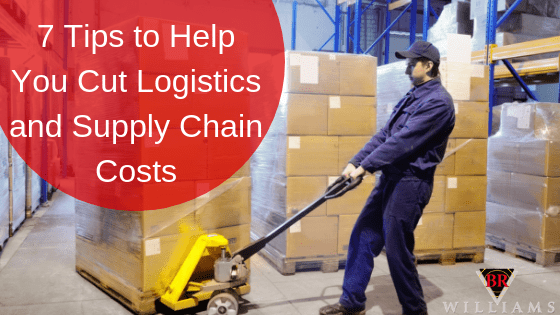 The cost of the equipment, labor, and infrastructure to warehouse, transport, and deliver to many locations at variable frequencies while keeping production schedules on pace is prohibitive. In our era of just-in-time inventory management and overnight deliveries, the art and science of logistics management is an industry itself. Several types of logistics companies have evolved to meet demand, some specializing in one phase of the supply chain while others do more. Often the lack of seamlessness results in disjointed efforts that end in delays, extra handling, and confusion. The essential strategy for a shipper is to ensure the products reach the right destination, undamaged, and on time at the lowest cost. What are the functions of these companies and how do they differ? 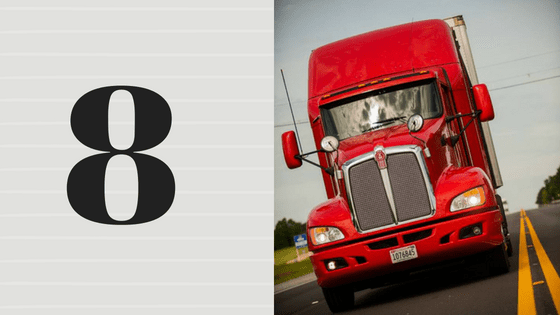 What are freight companies? They concentrate mostly on cargo movement from Point A to Point B. Although limited in services provided, truckers are considered freight companies since the shipper hires them merely to pick up and deliver. 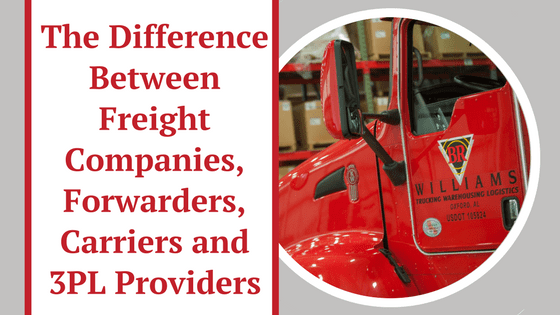 What are freight forwarders? Both domestically and internationally, they are in the business of finding the best and least expensive methods for moving products. These companies may take the role of an agent on the shipper’s behalf or as the principal who handles all documentation and freight management from the source to the customer. Freight forwarders negotiate pricing with land, rail, ocean, and air carriers and award freight contracts on the shipper’s behalf. Other essential functions include documentation, customs clearance, duty negotiation, and consolidation. Many times, shipments are multimodal or intermodal and may require more than one carrier type to complete the transport. A comprehensive 3rd Party Logistics partner can act as a dedicated in-house logistics department, freeing up resources to focus on the company’s core competencies. 3PLs offer all of the functions of freight management, freight forwarding, and carrier services and more to move your products to their destinations. The 3PL is aware of the shipper’s needs and can schedule in and outbound deliveries, handle all documentation, provide warehousing and takes full responsibility for timely and trouble-free deliveries. Suppose you own a high-quality, high-volume specialty glassware factory. Because of your reputation for elegant, beautifully crafted products, the demand has expanded from regional to national and beyond. In fact, you have received container-load orders from retailers in China and Singapore to be delivered before the beginning of the Chinese New Year. Because over 60% of your sales occur in the last quarter of the year, it is clear that you must ramp up production early in the year to produce the inventory needed to meet the extra demand. Since the demand is most substantial at the end of the year, we will need to produce ahead. Where will I store the excess until it is shipped? My reputation depends on timely and damage-free delivery. How can I be sure of 100% performance? Who handles the documentation, bills of lading, and compliance issues with national and international shipping? A professional 3PL (like BR Williams), answers all of the questions posed in the scenario above. Storage: BR Williams provides warehousing, as needed, to overcome demand surges. Timely, Safe Deliveries: BR Williams is accountable for the entire freight and delivery function from your dock to the end customer’s location, with a commitment to 100% performance. Documentation and Compliance: BR Williams is experienced in generating the required documentation for all shipments with a real-time CRM system. 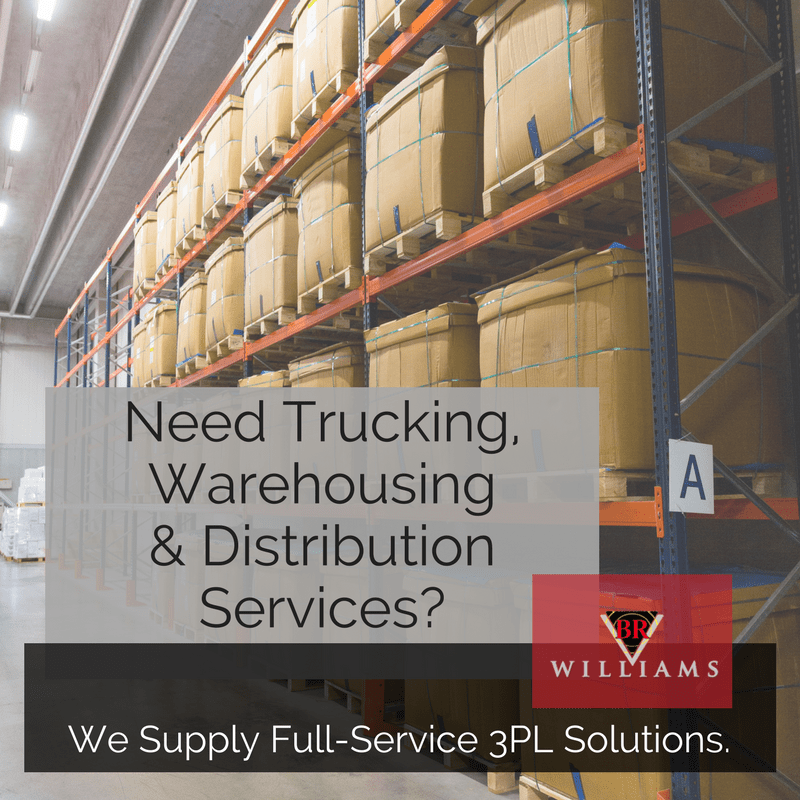 By removing the uncertainties of shipping, BR Williams provides full-service logistics management at a reasonable cost and delivers peace-of-mind to customers. You will never lose sight of where your inventory and shipments are with BR Williams’ load and inventory tracking systems. Want to know more about incorporating full-service 3PL services into your system? Request a free, no-obligation quote today.